The real question is not does demons exists, but how to find out if you really have problems of a demonic nature, or is it simply a case of mental illness. Is there an organization that will do demonic assessments? ONTARIO, Calif. - Aug. 16, 2014 - PRLog -- There are very few organizations that will give an assessment or comfirm the claims of a person who may be suffering from symptoms of demonic possession. From the early 1980's, there has been such an organization who has accepted requests from people battling with such problems. 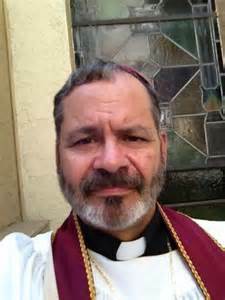 This organization, tho orthodox in nature, is a small Catholic parish in Los Angeles, California started a ministry of exorcism headed by the presiding bishop, Archbishop Ron Feyl, of the Sacred Order of Saint Michael the Archangel. This organization established an "Order of Exorcists" where Archbishop Feyl, having been a veteran in the battle of good versus evil for many years, became the chief exorcist of the Order. "In my 34 years in 'the business' I believe I have systematic knowledge for demonic assessments, and please understand I'm not boasting when I say that after 2,000 plus real cases of the demonic I learned by making a lot of mistakes. But now I feel we have it down to a science, by using our knowledge in God's healing power and working with medical science, our method is the best." Said Archbishop Ron Feyl, SOSM. The following is a summary of what the "process" is and what the Order of Exorcists follows before deciding if the case is genuine and if further action needs to be taken. First Contact Interview. This step starts off the process. The interview is always done face to face, asking questions from a specially designed questionnaire while being recorded on video. "Face to face interview is always important when using our questionnaire and recording their response to each question. I make my assessments when I watch the video that is submitted and study body movements such as eyes, hands, feet, etc. and give special attention to the person's surroundings." As said by Archbishop Ron Feyl. The Questionaire consist of three sections, each are important for an assessment. All three sections has 60 questions that are reviewed after the assessment report is submitted for further review. The Demonic Investigation. The investigation is conducted under the leadership of the "Lead Exorcist Investigator" who in most cases would be laity. After the first contact interview, the team would walk through the house looking for evidence to support a case of demonic activity. By using a video recorder they are able to show everything they see and experience. In order to exam the house and study the environment they recorded every room, closets, and exam basements and attics looking for evidence. Last step is preparing the final assessment report. This is where everything is collected, from questionnaire, documentation, photo's and videos. The Lead investigator will make his/her final assessment report which is submitted to the Archbishop Feyl for further action. If a ritual/exorcism is needed, the bishop of that jurisdiction is notified and he would assigned a priest to do the ritual. The Order of Exorcists has members in 15 US states and 24 countries.